This is the Hallgrímskirkja, which was very close to our guesthouse. We've actually used this as our guide in driving and exploring the city. You can't miss this church because of its interesting architecture, and it's one of the not-to-miss icons in Reykjavik. In the cold evenings, Kepi and I would walk around the church just observing and studying its architecture. According to Wikipedia, the Hallgrímskirkja (church of Hallgrímur) is a Lutheran parish church in Reykjavík, Iceland. 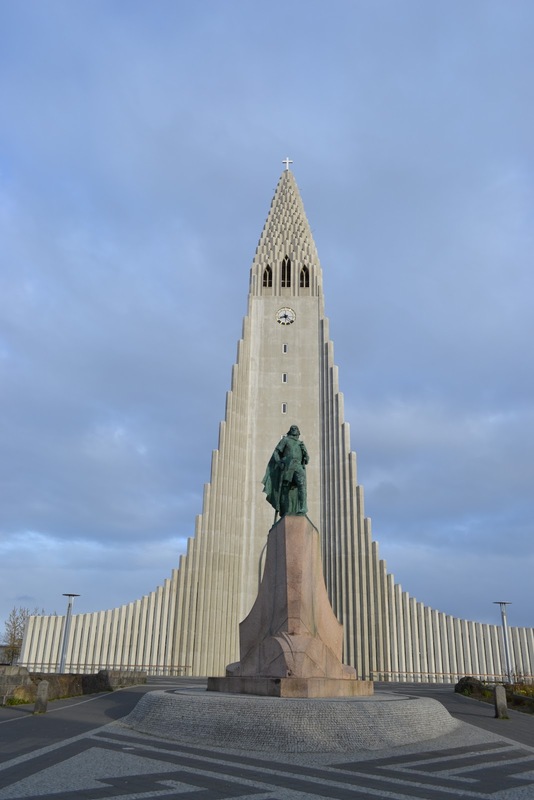 At 244 ft, it is the largest church in Iceland and the sixth tallest architectural structure in the country. The church is named after the Icelandic poet and clergyman Hallgrímur Pétursson (1614 to 1674), author of the Passion Hymns. State Architect Guðjón Samúelsson's design of the church was commissioned in 1937. He is said to have designed it to resemble the basalt lava flows of Iceland's landscape. It took 38 years to build the church. Construction work began in 1945 and ended in 1986, the landmark tower being completed long before the church's actual completion. The church is also used as an observation tower. An observer can take a lift up to the viewing deck and view Reykjavík and the surrounding mountains. 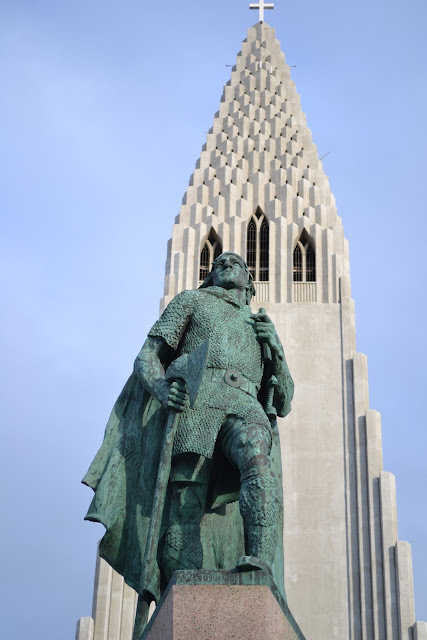 The statue of explorer Leif Eriksson (1929–32) by Alexander Stirling Calder in front of the church predates its construction. It was a gift from the United States in honor of the 1930 Alþingi Millennial Festival, commemorating the 1000th anniversary of Iceland's parliament at Þingvellir in 930 AD. More info is available here. REFERENCE: Italicized words are from Wikipedia. What an amazing piece of architecture. BTW I wanted to say that I love the name of your Etsy shop. I think it is very whimsical. And you have some cute stuff on sale. That's a cool piece of concrete! ang hirap naman ipronounce ng name nyan! hehe! that church reminds me of a chrch we visited in sfo i forgot the name. same concept of the facade. Were you able to climb to the observation tower? What's the view like from up there?